Pickering's Scrape from the hide. ​You will have noticed that we often make reference to Pickering’s Scrape and quite a few of you have asked, "What is a Scrape?" Basically, they are man-made, shallow pools of water with gently sloping sides. Often they have small islands of shingle, grass or other vegetation. 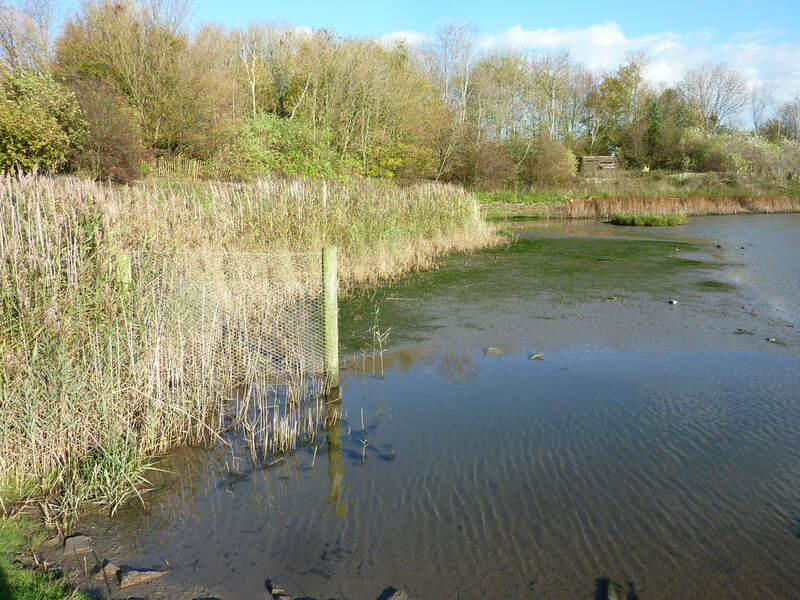 They are often edged with grass, shingle, mud or reeds to create smaller habitats within the area. Often the water is seasonal, as they have to rely on tidal inundation or rain water, having no water source of their own. 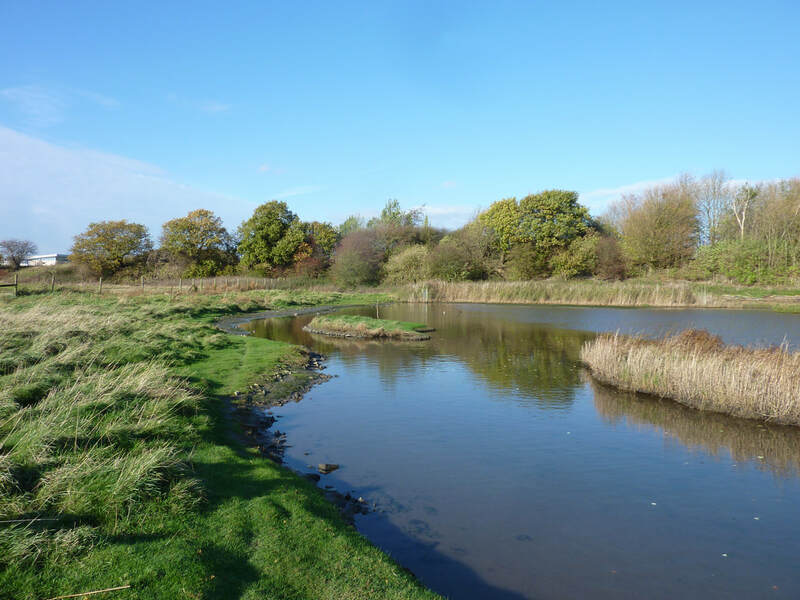 The water encourages small invertebrates: shrimps, water beetles, microscopic larvae etc. and even small fish to make it their home. These further encourage birds: kingfishers, redshank and other wading birds, egrets and ducks to visit regularly. It provides a valuable food source and a place to wash & preen and roost. Occasionally larger fish have been spotted too. 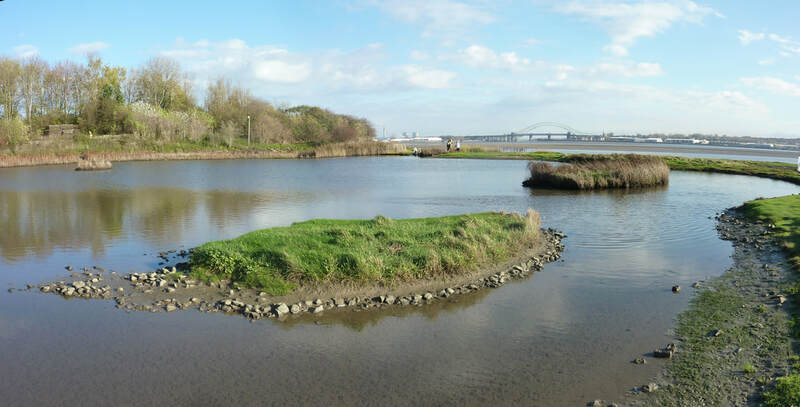 The islands provide cover for smaller birds and nest sites for our geese. 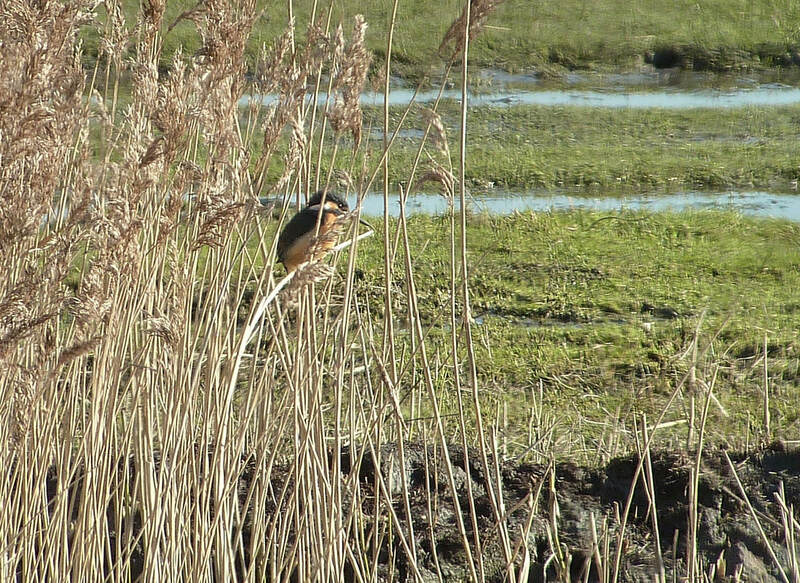 The habitats around the edge provide roosting areas, particularly at high tide and places for smaller birds to nest or feed, especially the reed bed which encourages snipe, kingfisher, reed buntings etc. 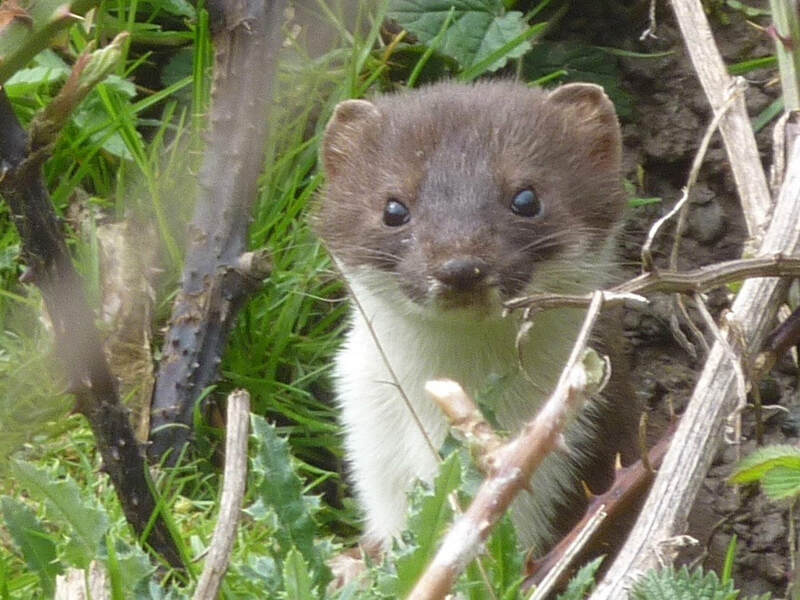 In turn mammals such as foxes and stoats will come to hunt. 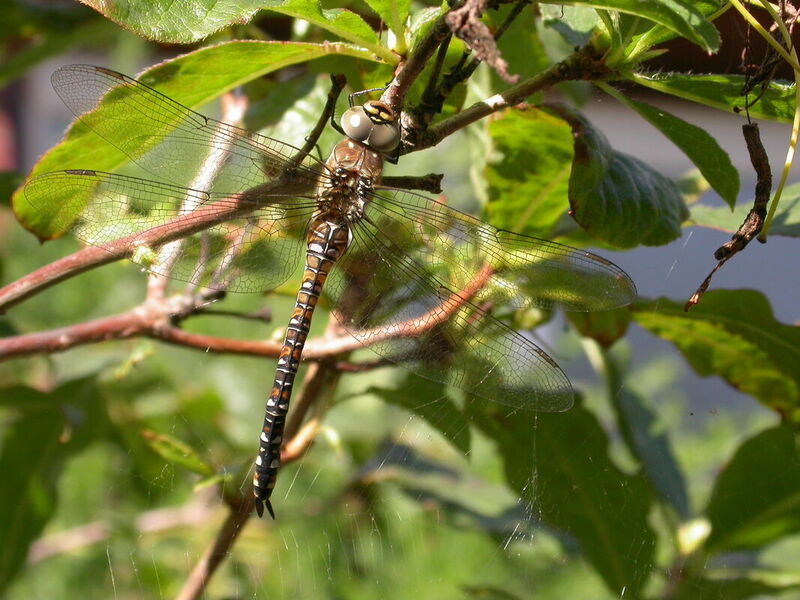 At Pickerings, because our water is brackish, it also attracts migrant hawker dragonflies to breed. 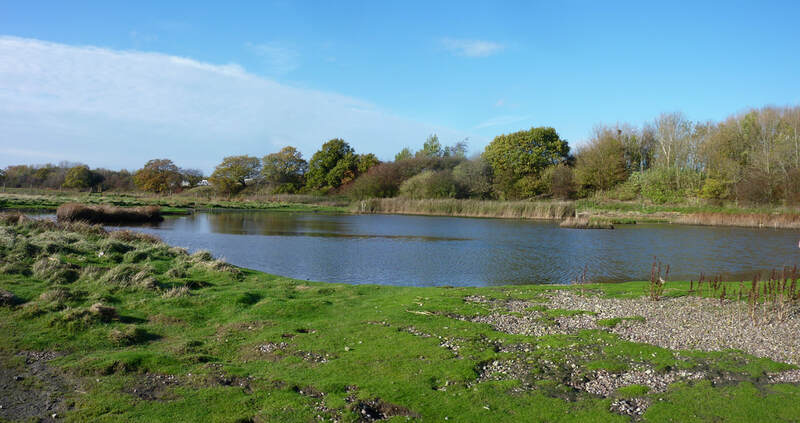 To prevent disturbance, Pickerings Pasture Scrape is not accessible to the public (or their dogs) but can be viewed from the Pickerings Pasture LNR hide. We hope you enjoy it. During a work party when the pool was disturbed, I managed to get some photographs from the far side of the pool to highlight the differing habitats. The reedbed and the muddy patch. The Islands showing the different vegetations. The gently sloping muddy edges are ideal. 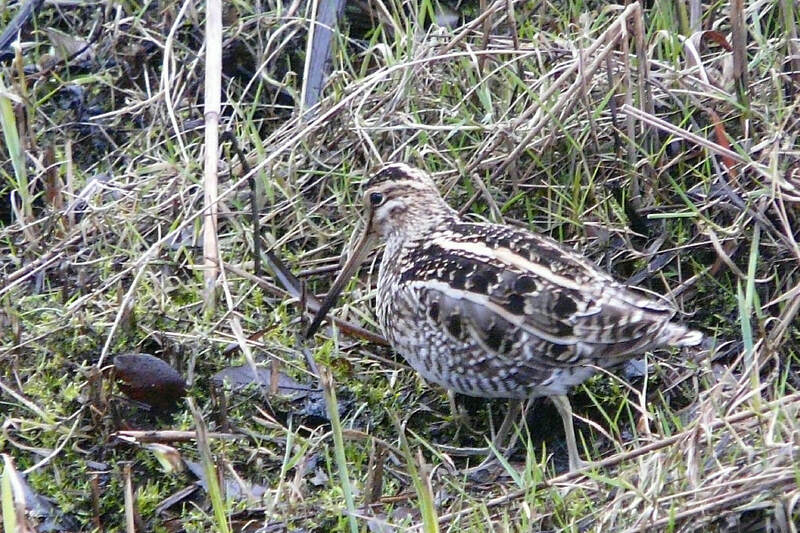 Some of the visitors to the scrape. 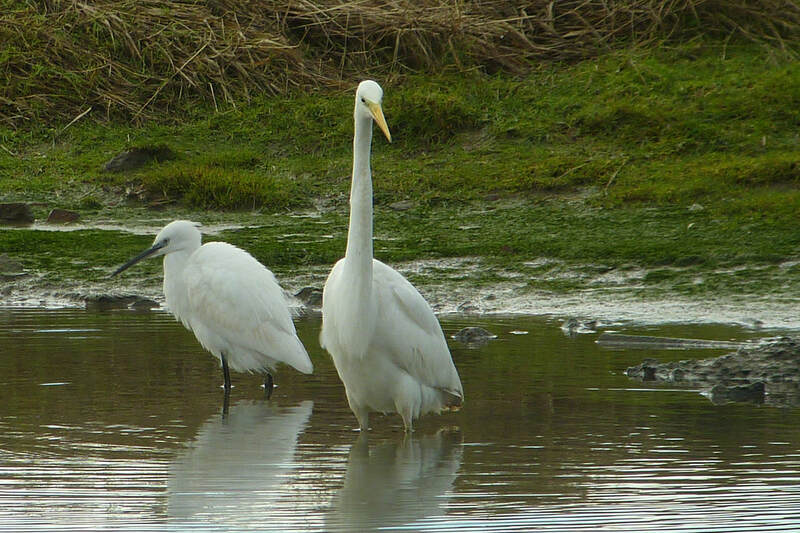 Great egret and little egret.